Earn $9.90 in Rewards credit (990 points) What's This? 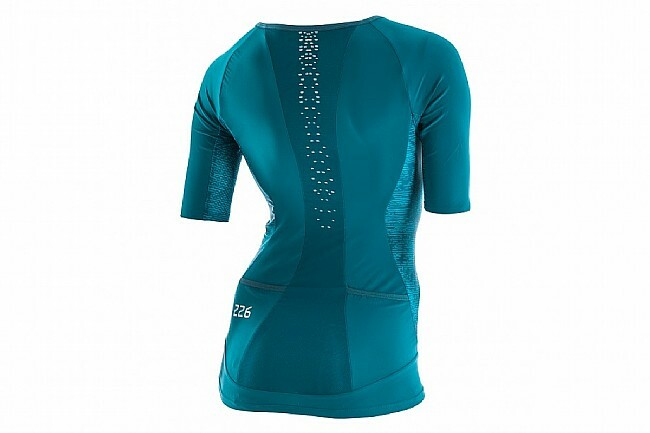 This high-performance, long-distance racing jersey offers unprecedented aerodynamics and comfort. The compression provided by the Stretchskin material reduces muscle fatigue and provides needed support during your toughest training sessions and races. This jersey has innovative new features such as a new adjustment system, laser cutting and thermo-sealing, which allows the sleeves to fit perfectly to your body, providing you with more comfort. 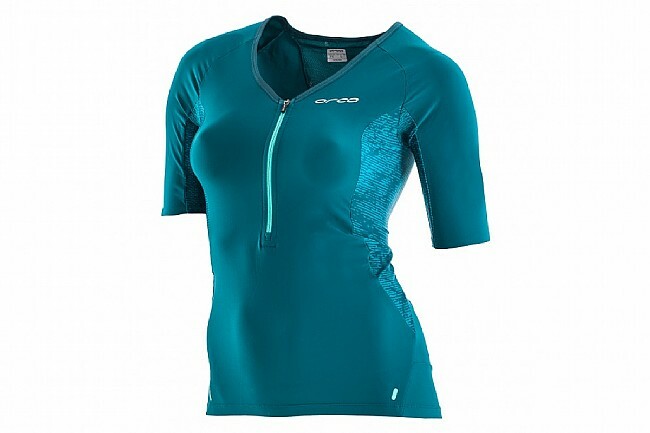 It was designed with fabric that utilizes Revolution technology in order to keep you cool and dry during the race. Comfortable and practical, this jersey features two back pockets, so you can store everything you need while you train or compete. VAPOUR-COOL This nanocrystal technology keeps your body cool and quickly wicks away sweat to keep you fresh and comfortable during the race. STRETCHSKIN This state-of-the-art technology adjusts to your body like a second skin in order to provide you with necessary muscular compression. The fabric's hydrophobic treatment keeps the garment dry at all times, while providing UPF 50+ sun protection. THERMO-SEALED The exclusive luxury thermo-seal technology allows the jersey to adjust perfectly to your arms, preventing any chafing. STORAGE The two pockets located on the lower back have all the space you need to store your food and always have it on hand when you need it. VISIBILITY Its reflective design gives you extra visibility in the darkest hours.